Microsoft’s latest Audio Visual product incorporates Skype, touch screens, connecting with laptops, tablets, and phones. With inkback™ and touchback™, claiming be the answer to Engaging and productive meetings with the ability to send meeting notes and content, outcomes and action points. 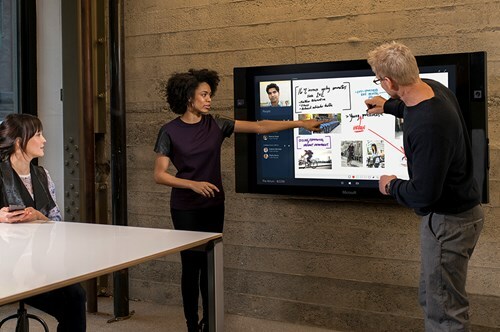 Microsoft Surface Hub claims that it re-imagines the meeting experience so that you can unlock the power of the group. You can walk up and join a Skype for Business meeting with a single tap, and share content effortlessly, so that you spend your time connecting to people rather than technology. Powerline networks use electrical wiring to connect devices though out your building. By means of linking 2 Powerline adapters to your router or super hub and you can access the internet hard wired from any room with a working socket. This should be the perfect solution for those places where your wireless won’t reach. The Spanish cable operator Telecable has hired Goldman Sachs to advise it on the possible sale of its controlling stake in the company (as Reported by Reuters). 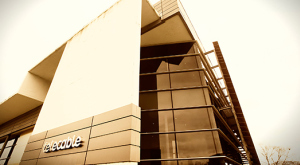 U.S.-based Carlyle acquired an 85% share in Telecable, which is based in the Asturias region of Spain, in October 2011 in a deal that valued the company at €400 million. This is an ultra-fast charging station with 6 USB Ports and a Universal Power Socket is all you need. Plug into any wall outlet and charge up to 6 USB devices simultaneously and replace up to 6 separate charging outlets with this simple device. All your devices can fit in the external stand provided, without removing their cases. The external power socket comes with a stable power supply and its smart circuit design protects against over-heating, over voltage, over current and short-circuit protection. Terminal is a one-stop solution for all your power needs. Amagi a cloud-based TV broadcast infrastructure company will be unveiling its advanced Satellite + Cloud Receiver-Decoder (IRD), Stormplus at the BVE2015. The IRDs work as satellite receivers enhanced with support for local content and advert insertion. They are capable of content storage, trigger detection, HD video insertion, multiple audio tracks including Dolby surround, subtitles and multi-layer animated graphics. The smartphones, tablet market has shifted, the analyst predict major markets have reached tablet saturation and claim Western European tablet shipments are slowing down during 2014 before consumer shipment start declining by 2017. Apple and Samsung make up more than half of 2014 tablet shipments. The smartphones, tablet market has shifted, the analyst predict major markets have reached tablet saturation and claim Western European tablet shipments will be slowing down during 2015 before consumer shipment start declining by 2017. Whilst the regular seasonal increase in cute toys and teddy bears is running as usual, what is new is how many cheap, simple to use, easily available and seemingly innocent; products are for the individuals to keep track of their property and family. A wide variety of consumerised spyware is available to suit different types of situations, from personal situations through to industrial espionage, then there is domestic violence abusers, stalkers, online predators and trolls. Almost all use multiple digital means of accessing their targets including the Internet, social media, smartphones, GPS and surveillance technology to easily spy on and monitor every aspect of their lives. Many of these will use the holiday gift giving season to increase their spying through giving compromised gifts. Sennheiser, has an ongoing strategy to grow reseller relationships in the channel in EMEA, as a provider of premium headset and UC solutions, they have announced the appointment of Graham Meloy as Channel Sales Manager for Sennheiser Communications. As part of a drive to develop and invigorate reseller relationships in the channel, Graham‘s responsibilities include recruiting quality resellers tasked with pushing Sennheiser Telephone headsets, and further developing Sennheiser’s business relationships. His aim is to provide a value proposition to resellers and dealers with a range of tools including sales incentives and margin opportunities. A new report from Jakarta, Indonesia released in October, 2014 states that more than 30 million Indonesians use the Opera Mini mobile browser when accessing the World Wide Web, according to Opera Software’s "State of the Mobile Web" report released today. It would seem that more and more Indonesians search the web on their mobile phones, and Opera Mini is claimed to be the fastest mobile browser in the market. With over 30 million monthly active users of Opera Mini in the country, whilst the population of Jakarta is 10 Million. A new forecast from IDC has predicted that worldwide phablet shipments, described as smart-phones with screen sizes from 5.5 to less than 7 inches will reach 175 million units worldwide in 2014, passing the portable PCs expected to ship during the same period some 170 million. Further to this is the forecast for next year, when IDC predict that total phablet volumes will top 318 million units, surpassing the 233 million tablets forecast to ship in 2015. Although we at European reseller are not exactly sure if prior to the new description some of the smaller tablets are now phablets . 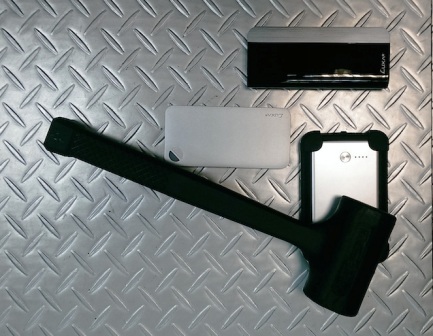 Tips in choosing the best power bank for your digital life! LUXA2, a power, audio and holder solutions, their very own in-depth guide to the internal processes and workings that all their portable power banks undertake. Emphasis is placed on Quality, Performance and Reliability and how it is maintained through all stages of production to end user completion. LUXA2’s extensive safety concept gives the Right Juice for Your Tech. In modern day society, the use of smartphone, phablet ( large phone )and tablet devices is ever increasing and as a direct result, so too is their power consumption. These devices have become so integral to our everyday lives - just like our house keys, wallet and purse – simply forgetting to take one of these with you when you leave the house, will leave you feeling incomplete and uneasy throughout the rest of your day. Lava International has expanded its smartphone range under the Xolo brand with the launch of Xolo 8X-1000. The smartphone runs on Android 4.4 KitKat with Xolo's new HIVE UI, which is internally developed by Lava International. Lava, under its Xolo brand, has already rolled out its 4G LTE enabled smartphone in the country. 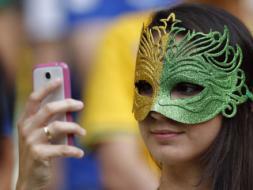 It is preparing to launch two more smartphones next month. The company's other priority is to launch Windows Phone smartphones in the country. Tt eSPORTS, a company providing professional e-Sports gaming peripherals is releasing the new METALCAPS keyboard accessory. This is to come to the aid of the mechanical keyboard community, who suffer from damaged keys due to enthusiasm or maybe anger when playing games. These metal keyboard caps will be on store shelves and on premium e-tailer websites to offer users a convenient way to modify their mechanical keyboards. The keys are made with a Zinc alloy for overall durability and a solid feel while typing. We have all been able to use VPN’s to control our heating or firing up the BBQ from 1000s of miles away and we haven’t left the sofa to change the channel for years. We reach for the remote. Many a smart home has a hub to control lights music if you like mood changers ? How about smart light bulbs? I don’t mean remote light systems with dimmers etc. GE ( General Electric ) has revealed a brand-new LED light bulb that can connect to the Web shortly after you've twisted it into an available socket. Dubbed the Link, the $15 ( £9 ) light bulb will be controllable by a companion appn for iOS and Android — "Wink." 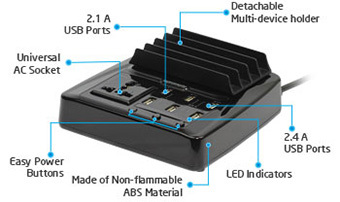 A new fanless powerful vehicle PC with 3rd Generation Intel 2.8 GHz Express chipset. In order to fulfill different rugged and critical application needs, this compact embedded system supports isolated COM ports, isolated CAN bus, isolated Gigabit Power of Ethernet (PoE) ports, isolated DIO port and rich expansions. Thermaltake and Tt eSPORTS are celebrating a brilliant victory in the huge design competition organised by iF Forum Design The annual world famous “COMPUTEX D&I Awards 2014” operated by TAITRA(Taiwan External Trade Development Council) and iF Forum Design recently announced the recipients this year. With Shipments Reaching 19.2 Million in 2014 and Climbing to Nearly 112 Million in 2018, the worldwide wearable computing market (commonly referred to as "wearables") is finally expanding beyond early adopter status. We will be watching closely to see when this useful tool will be adopted by Big Business as a tool, instead of the fashion and stylish lifestyle accessories that are making their way onto the pages of GQ and Shape as well as Computerworld and Wired. HV & Open Ocean Capital funds mobile and games pioneer. Adverts on smartphones and Tablets ......LoopMe, a social mobile company have announced the closure of a $3 million funding round which saw the game changing London headquartered firm secure the backing of major funds with publishing, mobile games and big data credentials. With $3 million to spend get ready for household names to impose on you and your means of communication. The company claims to have already achieved strong revenue growth globally from mobile games advertisers and even reaching profitability. So LoopMe will use the new funds to continue its global expansion and further development of proprietary artificial intelligence and social discovery technology. Read more: HV & Open Ocean Capital funds mobile and games pioneer. Avigilon Corporation, has signed a definitive agreement to acquire the video analytics company VideoIQ, Inc. VideoIQ for cash consideration of US$32 million. The transaction is expected to close in early January 2014. Large and small enterprises have been witnessing a growing need for video interfaces in communication, due to its ability to improve productivity and outreach. Enterprise video brings flexibility in remote working conditions and reduces the overall capital expenditure. Adobe Creative Suite version 5.5 was released on 11th April 2011. We look at it almost one year later upon the occasion of the release of Lightroom 4 on 6th March 2012. We will show how Photoshop and Lightroom are different and yet complement each other perfectly. Sungnam-si, Gyeonggi-do, Korea,- Movidius, the mobile multimedia processing specialist, has chosen Uniquest as its Korean distribution partner. Uniquest will provide sales, promotion and support for Movidius’ which was recently launched Myriad 3D platform in Korea. Myriad 3D offers a completely new level and quality of 3D user experience for phones and other mobile devices. Myriad 3D is the first platform in the world to be optimized out-of-the-box to enable a 3D experience in high definition (HD) on mobile devices, allowing handset designers for example to easily produce a whole new generation of 3D-enabled smartphones. Launched in September and available now, Movidius’ MA1133 is the first product in the Myriad 3D platform range. The MA1133 is the world’s first semiconductor product capable of a range of unique 3D functions: preview, capturing and processing high-quality user generated 3D video and images on a mobile phone; converting any 2D video to 3D in real time, and upscaling and playback of content in HD. Research carried out on behalf of LG Business Solutions suggests an increasing sophistication amongst consumers about new screen technologies - and a growing awareness of the advantages of LED technology. Whereas 61% of those polled said that they had never heard of Cathode Ray Tube (CRT) technology (used for old-style screens),59% claimed to be aware of at least some of features and benefits of LED. LG Business Solutions today launched its new range of LED monitors and TV/monitors in the UK at the Future Gallery in London. The range sets a new benchmark in picture quality for monitors and includes a new LG 3D gaming monitor, which was shown in action for the first time. 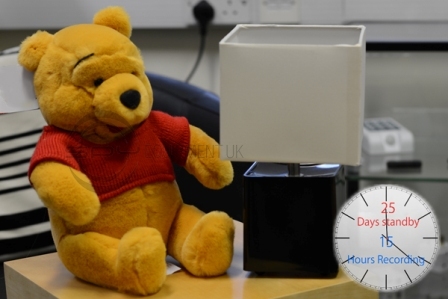 What is the difference between LED, LCD and HD European Reseller explains to its resellers ?